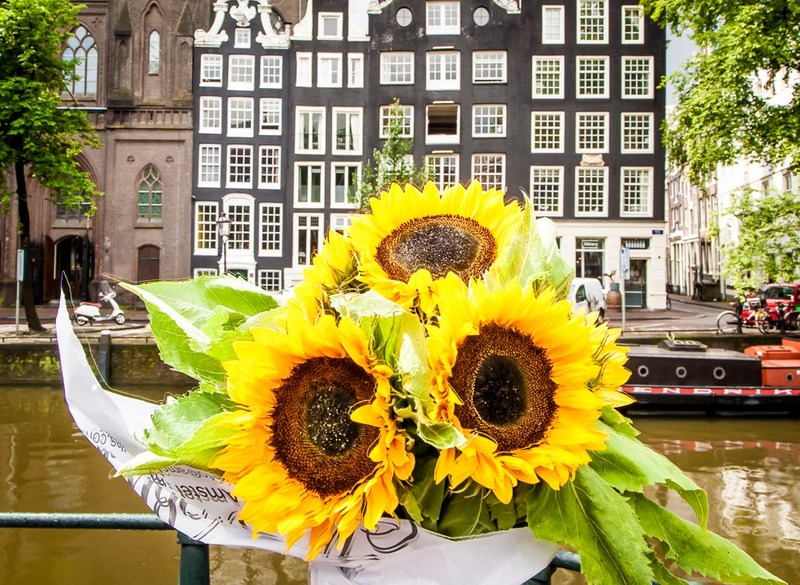 You can’t go wrong with an Amsterdam weekend away, especially when you weren’t expecting it! Last September, the awesome team at Skyscanner invited me to play a game called Skyscanner Roulette. So, 10 am in the morning I get on the Skyscanner App, find the next flight, book it and by 1 pm I’m at the airport waiting for my last-minute Amsterdam weekend – not a bad game, right? 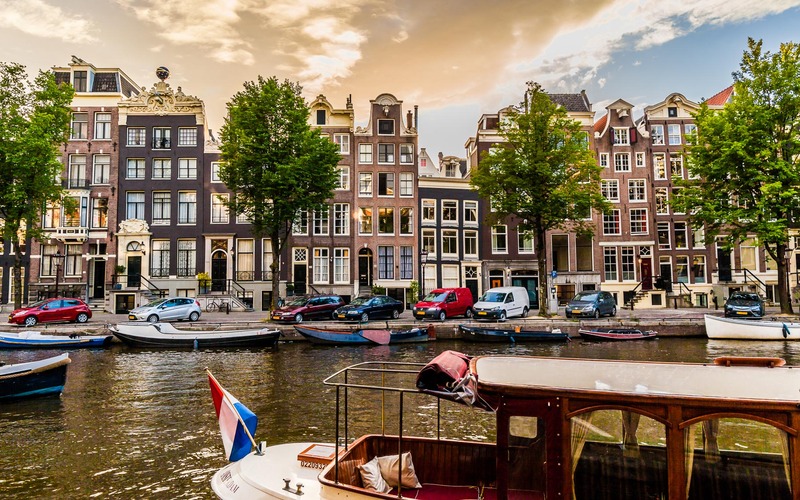 If you find yourself with just a weekend in Amsterdam and are wondering how much you can fit in, the good news is plenty. 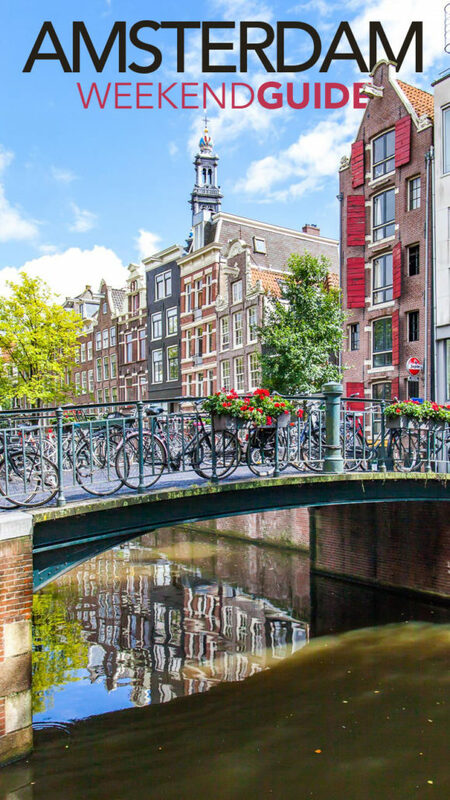 With its compact streets, boat ridden waterways and penchant for bicycles, getting around Amsterdam is super easy. Here are my top tips for spending 48 hours in Amsterdam. 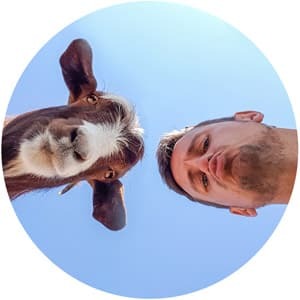 If you want to know more about finding cheap flights / playing Skyscanner Roulette check this out. 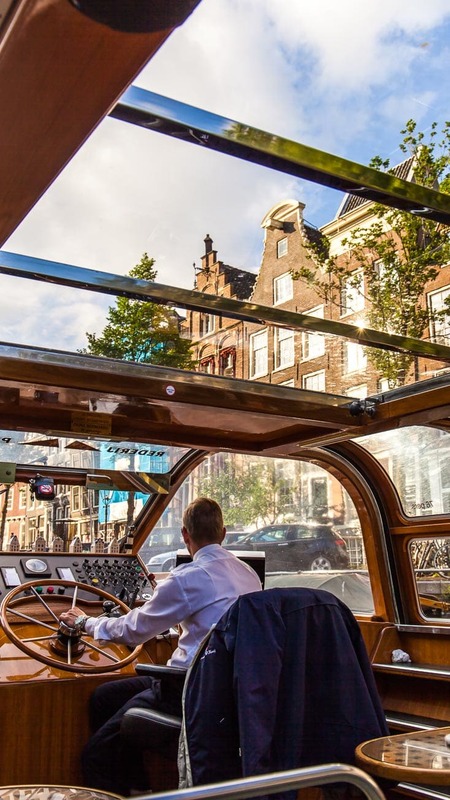 Start your Amsterdam weekend in the canals, the waterways which link this city together. Booking online in advance will usually bring the ticket price down which is around $15 on the spot. Blue Boat tours I was informed are the cheapest option and if you have the iAmsterdam card, free. It’s a great way to spend an hour and get your bearings for your Amsterdam weekend. Grab the print or e-book before you travel to Europe. 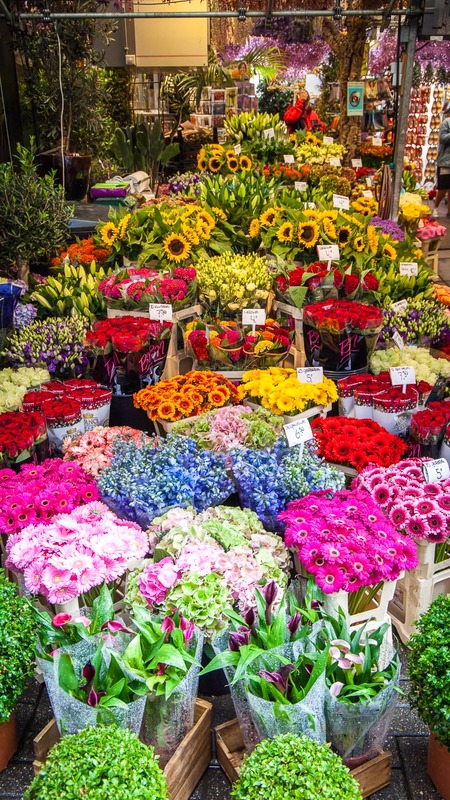 If you are lucky enough to visit during Tulip season (April/May) then head to the gardens, the rest of the year the famous Flower Market is a colourful street to wander, shop, or take a coffee at. Amsterdam isn’t short of markets, with the Flea and Antique markets also popular spots for tourists. 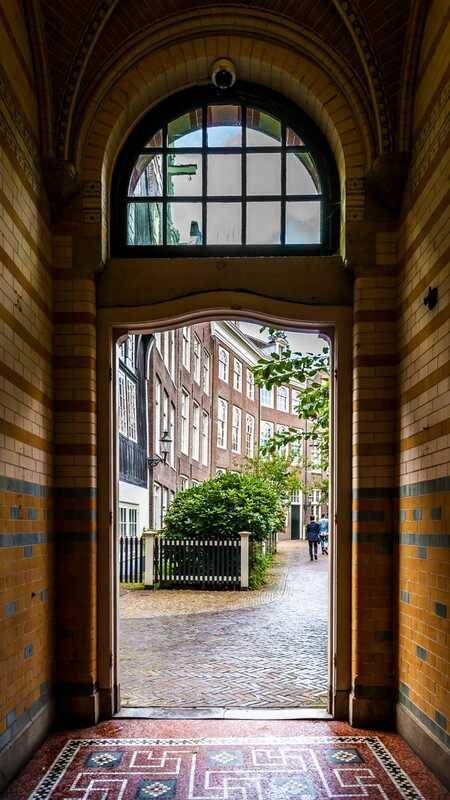 Even in the middle of Amsterdam, there are still plenty of hidden areas to explore, usually behind small doors or archways. With churches, convents and colourful houses around green grassed squares, these can provide some respite from the busy streets. My personal recommendation is Begijnhof (see the map below). Next, head on to Jordaan. This colourful neighbourhood is crammed with boutique shops, cosy cafes and inventive dining options and is by far my favourite part of central Amsterdam. Wikel 43 serves up one of the best apple pies you will ever find and is a great pit-stop for lunch. The Anne Frank museum is a reminder from the past and is a well deserved next spot on your Amsterdam weekend itinerary. It is open daily from 9am-7pm but has extended hours on a Saturday. 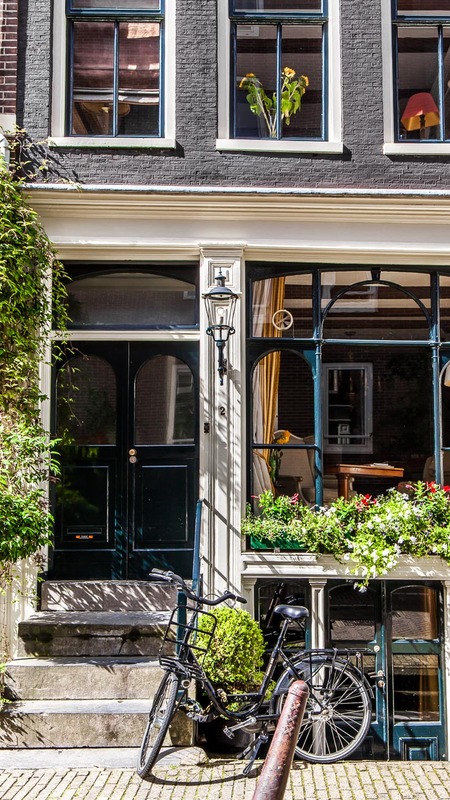 Stick around in the Jordaan neighbourhood for dinner where culinary creations are in full swing. Whether you want something low key and local or high end, there are a tonne of options here. For the more popular restaurants, such as Gin with their enticing small bite menu, swing by earlier in the afternoon to secure a table. If you really want to see this area at its best (or worst?) then a Saturday night is the right time to come. Although not as seedy as I remember from my first visit many years ago, this working area still holds onto its dancing girls and world-famous name. 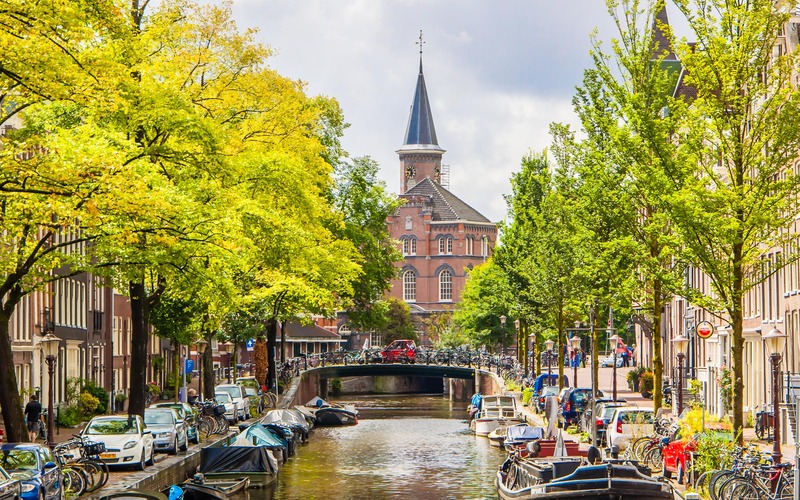 But it’s not all sexual entertainment here, the canals that cut through the middle of the district are lined with lively bars and smoke houses and sure, it may be a touristy place to grab a drink but that’s what weekends away are about, eh? Start your second day with a trip to one of Amsterdams many museums. 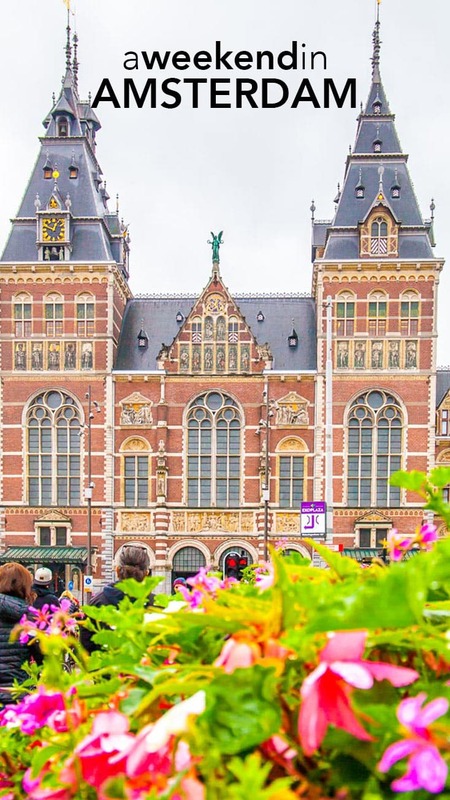 The Rijksmuseum, world famous for its extensive art collection, is a standard popular choice and somewhere you could easily while away a day. Even if you don’t plan to visit inside, the architecture, and of course, iAmsterdam sign outside are worth a quick glance. If you venture back to the Red Light District then the Museum of our Lord in the attic is a more unusual option. When religious censorship came into place during the 1660’s these three canal houses were secretly knocked through and converted into a church. Weekend Brunch in Amsterdam, whilst not as big deal as other cities, is still a sure fire bet. Instead of heading for a larger restaurant, scout out one of the many smaller book or antique stores that also cook up some tasty treats and take your avocado and eggs in a more traditional and quirky setting. Vondelpark is a sprawling green area running alongside the city and between its lakes, walks and ice cream shops, come and soak up some sun (hopefully) and enjoy a more relaxed side to this city. Before jumping on your train back to the airport, round off your Amsterdam weekend with a trip to the north of the city. Free ferries run from behind the station and will quickly transport you to a recently developed and rather hip area. With rooftop bars, fake beach restaurants, DJs and artwork, Amsterdam Noord is the modern and cool cousin of the central area. End your weekend with a cocktail and sunset at the top of A’DAM panoramic sky bar, cheers! Amsterdam has one of the best airports in the world. With fast security times and trains direct to the city centre, it means your Amsterdam weekend can get off to a quick start. Whether you are playing a ‘who knows where I’m going’ kind of weekend, or forward planning, the obvious answer is to find the cheapest flights using Skyscanner. If you aren’t set on a date, enter in which month you want to fly and let it find the best value dates to fly on – set up an alert and get a message when the price drops for your Amsterdam weekend! Amsterdam is an easy, and visually pleasing, city to get around on foot. A common form of transport for the locals is by bike, so hiring one would be my second recommendation. Although Amsterdam does not have a public bike rental scheme like London or Madrid, there are various bike rental shops around the city. The trams are also a quick and quirky way to get from A to B.
I checked into the trendy but under renovation Hotel Arena for my Amsterdam weekend. What I loved about this hotel was the manhattan loft style rooms, with a bedroom on the level you walked in and a raised loft style lounge/office space. It’s located slightly out of town which keeps the price less than a 4* hotel in the heart of the city, but a nice river walk or short tram hop will deliver you to the centre. On a previous visit to Amsterdam, when I did the whole weekend for under £100, I couch surfed and had a great experience. Amsterdam is an eclectic and welcoming city and my couch surf experience could be summed up the same!